Calendars make literature circles run more smoothly. I created a calendar using publisher and printed it off for my students. They then got into their groups and decided how many pages to read each day. I got this idea from Harvery Daniels book, Mini-lessons for Literature Circles. I also gave students 5 points to their test grade for those who got their parents to sign the calendar. What is getting closer? Well, literature circles! Yesterday my students chose 4 books that they would like to read (from those lists I come up with 4 groups that read different books) and today I told them the books they will be reading. Seeing their eyes light up was breath taking. 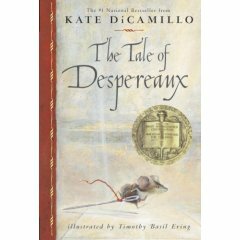 My 6th graders can’t wait to start literture circles. I have been talking about lit circles all year and now they get to be in one. Throughout the year we have been practicing with our reading books, but now they get novels. I have created a calendar that I give to my students so they know what days we have lit circles. I will give them their calendars on Friday. I also use Harvey Daniels book Mini-lessons for Literature Circles, which is a life saver! I highly recommend this book to anyone trying to do lit circles. Your reading class dynamics will turn a 180! In order to do lit circles, you have to have an assortment of different books and have 4-6 copies of each title. Yes, that can be expensive, but I go to the used book store to get books and goodwill sometimes has them. Sometimes at the end of the year I will ask students to bring in books they don’t want anymore for extra credit. That’s how I got all my Harry Potter books! I will post more updates when the books start to open! I have been reading on various blogs about everyone’s one little word for the year. I have come to find that my word is going to be CONSISTENT. Consistent- possessing firmness or coherence. Marked by harmony, regularity, or steady continuity. I chose consistent because I need to be consistent in everything I do. I have coherence with some aspects in my life, but not all of them. I am going to focus on being consistent spiritually, professionally, and personally. Consistence will come with routine. With consistence, I will make a plan and stick to it. Thanks Stacey for your post and Ali for creating this challenge. While visiting my parents in Henderson, KY over the holidays, we encountered the leg lamp from the movie The Christmas Story. On Christmas Eve we drove around looking at the beautiful Christmas lights on people’s homes. We saw multi-colored lights to a whole house decked out with blue lights. They were all pretty. It’s amazing how Christmas lights get you in the spirit. 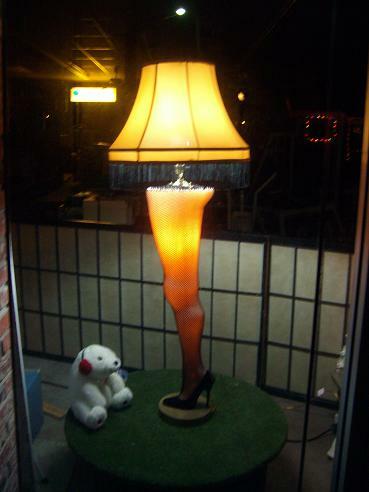 My dad drove down a street and there it was; the leg lamp shining brightly in a store front window. It looked exactly like the one in the movie. We never laughed so hard in our lives because my parents thought another lamp post down that street was the leg lamp. They hadn’t seen the movie. Once we got home, we turned on the tube. Guess what was on the T.V. when we got home? You guessed it: The Christmas Story! We watched it and laughed again at the part where the dad recieves the leg lamp in a huge pine box.